Company brand strength is very important for any small business entrepreneurial venture. 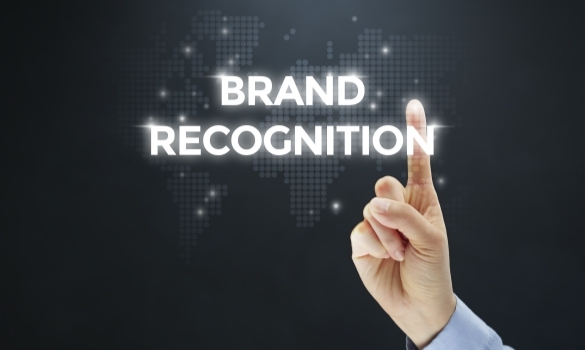 If someone recognizes and trusts your company brand, they are much more likely to do business with you. Sounds simple, right? Unfortunately, building brand strength depends on your industry and your competitors. Your company’s brand strength is dependent upon the brand strength of other companies competing in your industry, even for business to business companies. So, measuring your strength is a relative analysis. Which means, in order to raise the strength of your brand, you have to be out doing your competition. What is your main competitive advantage? Why do customers pick you over the competition? Once you have a strong idea of who you are as a company, you are ready to communicate that identity to your market. This allows you to differentiate yourself from the competition and outperform them, creating increased brand awareness through a visual identity. Whether you have a good company name or a bad one, establishing the right communication channels with customers can make all the difference in closing sales and lost potentials. While communicating your company’s brand identity, take the time to educate people about what products or services you have to offer. If possible, interact with them and establish relationships. These relationships can lead to sales, referrals or overall recognition in the future. It may take a while to find the right channel, but do not just settle for what your competitors are already doing. In order to increase your brand strength, you must do more than the competition. Use visuals to communicate brand identity on business websites or when hosting online contests. Graphics and images are the number one way to communicate brand identity to online visitors. Most webpage visitors are not reading the bulk of the website copy you have on your business site. Images are much more effective. Visitors pay attention to the visuals they see on a business website. It helps them get a feel for who your business is. That is the whole point of establishing brand identity, which is why you need to include more carefully-curate images on your business website page to communicate your business brand. Finally, it is important to measure your brand strength in terms of numbers. Companies use various metrics like social media mentions, website traffic, new leads, etc. to measure their branding campaigns. This is essential so that you can compare yourself against the competition as well as track your progress as the brand grows. Make sure you are constantly in-the-know regarding current analytics for your company, so that you have the information you need to constantly improve and outperform the competition. If you are looking to establish a corporate identity, you need to first establish what exactly that identity is. Then, you need to be able to communicate that identity visually. Creative design is best left to the pros, so you may want to enlist the services of a design agency. Check out a couple design agencies before settling for one. There are many out there, but there is only a handful that will fit your business needs and be able to effectively communicate your corporate identity design. You may even want to follow in the footsteps of famous characters like Tony the Tiger or Ronald McDonald, and have them create a fun mascot for your business. Remember, when forming a brand identity and logo, you will need to be selective. Take time in making your decision. Follow these tips to form your brand identity in a relatively quick and easy way without having to hire an internet advertising company. As long as you know your company image, you will be able to enlist some help to effectively communicate your company brand. Remember these tips when you find yourself struggling, and let us know any advice you have for forming a corporate identity in the comments below.